Rounding out our range of services, we offer precision machining to meet our customers’ specific exacting, tight tolerance and complex demands. We excel at providing sophisticated solutions that combine both machining and molding to achieve highly detailed custom parts and surface finishes. Set up for success – our discipline processes are data-driven, based on research and measurable results. Extremely accurate – using optical gauging products (OGPs) to frequently inspect our parts and processes, we operate at world-class uptime (92% vs. 85% industry average), streamlining our work and results – ideal for handling microscopic parts in medical applications. Repeatable and reproducible – our precise operations provide accountability when holding the tightest tolerances and most complex geometries – able to replicate for job-to-job consistency. 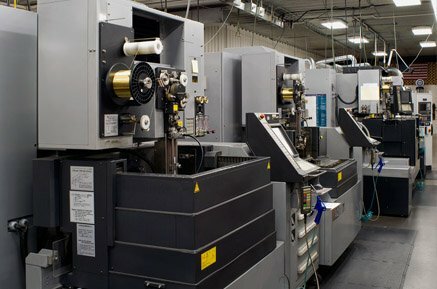 State-of-the-art – we continually invest in the latest technology to remain at the forefront of automation and overall capabilities, doing more and providing better parts. Optimized for efficiency – everything we do results in providing better solutions for our clients faster – backed by years of experience, along with the best available equipment, we simplify supply chains, shorten lead times, and provide the accuracy and quality our customers can count on. At Metro Mold & Design, we can work with a wide assortment of material types, including metals, plastics, graphite and others. We offer expertise using the latest technology and programming software for our partners’ Swiss Screw Machining needs. This enables us to manufacture the extraordinarily complex geometries and tight tolerances our customers require, achieving job-to-job consistency and better process control. 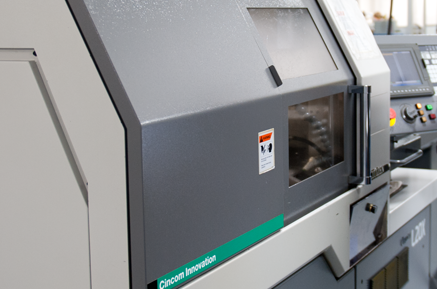 Our combination of sophisticated equipment, skilled technicians and a collaborative culture allows us to machine microscopic parts with extreme precision and speed. 20 mm max machining diameter. Precision components with complex geometries in one operation. Our CNC machining team can help with every phase of a project, offering component manufacturing, total assemblies and complete product solutions in-house. 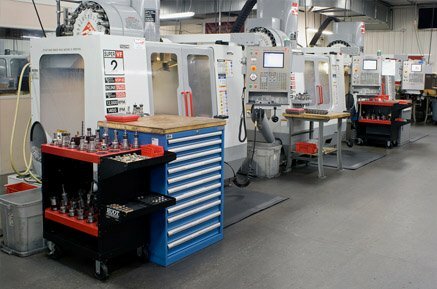 Our clean and organized machining facility provides the technology and equipment to handle almost any CNC machining need, streamlining our customers’ supply chains. We excel at manufacturing surgical instruments and medical devices, where high-precision is a must. We also do high-speed CNC machining, CNC vertical milling and CNC lathe/turning. We offer EDM machining, conventional sinker EDM and micro-hole drilling.